Notes: These moths are important pollinators in this region, looking like hummingbirds as they sip from flowers. This one was trapped inside the house, but was successfully released outside after the picture taking was over. 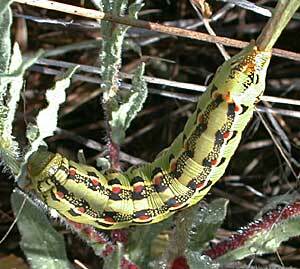 The caterpillar was found busily eating a gaura plant. 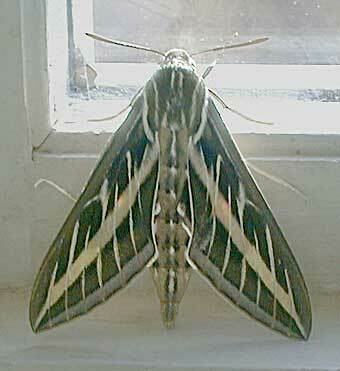 White-lined sphinx (Hyles lineata) entry in the Moths of North America website.